Students learn what it's like to own, operate, and manage an agribusiness. This computer simulation will teach your students what it’s like to own, operate, and manage an agribusiness. Using their computer applications skills, students work to produce professional documents as the Microsoft Office Specialist of a fruit and vegetable farm. Throughout these real-world projects, students are exposed to channels of distribution, marketing techniques, and other concepts typical in the agricultural industry. The Online Instructor and Student Resources for Slater Farms are required and include Project Answer Keys and Logos. 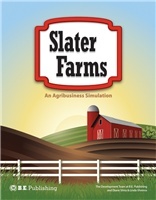 The Slater Farms Logos are provided in .JPG and .PNG format, and are intended to help student work appear professional and polished. 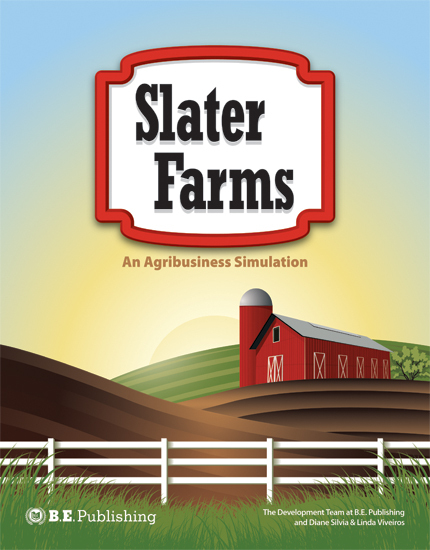 Many projects require students to insert the Slater Farms logo to create professionally-styled documents. Because Food Matters: Does it Matter How Our Food is Produced? Because Food Matters: Local or Imported Food: How to Decide?